Verdict: 4.3 / 5NBA 2K19 has a game mode for everyone whether you are playing online or offline, by yourself or with friends. I recommend basketball fans pick up a copy. You won’t be disappointed! Professional basketball is more than just a sport. It’s a culture. For most fans, it happens both on and off the court. It has always been about the hype and flashy presentation of big names and big brands. Thankfully, NBA 2K19 captures that feeling in almost every aspect with its 20th-anniversary edition to the franchise. It does well going forward with huge changes to the overall game. Giannis Antetokounmpo is this year’s standard edition cover athlete, while the G.O.A.T, Lebron James, heads up the 20th Anniversary edition. How does it compare to last year’s game? While NBA 2K18 was a great looking game, it was by no means a show stopper and had some major issues with its gameplay and physics systems, even though they had been improved upon from previous iterations. Having said this, NBA 2K19 is, in my opinion, the best entry to the franchise yet. As usual, the game looks stunning, it seems these games are getting more visually impressive on a yearly basis. What impressed the most is the brilliant improvements made to the game’s motion control and the attention given to ball handling. What this means is that the game plays way better than the previous iterations and that scoring takes a bit more skill than luck. Knowing what the strengths of the player with the ball are will always be to your advantage and increase your chances of success. Taking a step back and dropping 3 pointers with Steph Curry is an incredible feeling. Amateur gameplay is harshly dealt with by A.I and the learning curve seems to be steeper than before but it helps improve the overall experience. Offence and defence are more balanced, so running to the hoop hoping your player will muscle his way to scoring is a big ask and will probably see you fail. Also, the ball physics system has also been updated, adding to the smooth player control and player animations creating a more realistic gaming experience. Pulling off a sick dunk or a no-look pass which leads to scoring not only looks good but feels more exhilarating than ever before. All these improvements may make the game seem more difficult, but once you grind through a few hours you appreciate the realistic tactical game. What about the game modes? Building upon what came before, NBA 2K19 adds new game modes to keep players busy. The real gold can be found in this year’s MyCAREER mode, named “The Way Back”. This is not a simple storyline of a player being drafted after college but rather a heart-warming and heartfelt journey of a young man who is sent to play in China. Without giving away any spoilers, the protagonist must grind his way back to the NBA in order to follow his dreams. A roughly 5-hour story is by far the best sports game story I have played through. It’s not mind-blowing scripting but remains refreshing and kept me invested until the end. On a side note, the mandarin commentary when playing in China was a great touch. 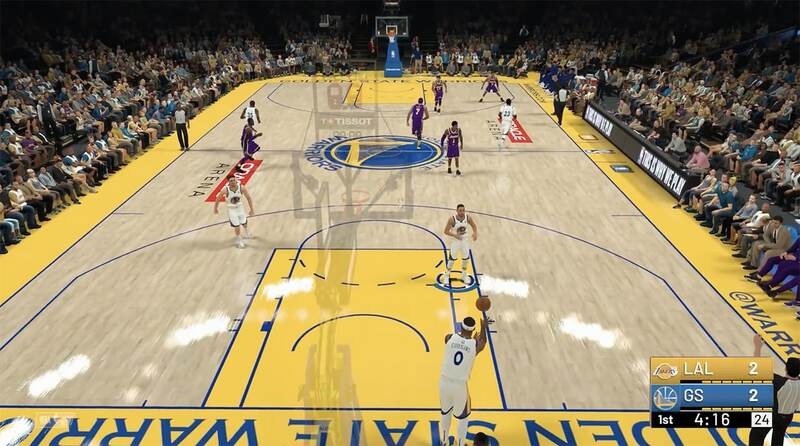 Other game modes, such as MyTEAM, MyLEAGUE/MyGYM and The Neighbourhood, all see their return to NBA 2K19. Microtransactions have always left a sour taste in my mouth and, as per usual, MyTEAM is filled with loads of them. MyLEAGUE/MyGYM boasts so much customisation and feels like an intricate thought process when building your own franchise. Also, MyCAREER has improved as it is a breath of fresh air for those looking for an authentic experience at managing or starting up a new franchise in the NBA. Of course, The Neighbourhood is bigger than before, with a new meeting point, all new features and all the old favourite features from last year. Besides the microtransactions in MyLEAGUE, I was also left wanting after playing matchup with a friend online on the Blacktop. This is NBA’s street version of basketball but doesn’t feel like authentic streetball at all. Playing online is great, the wait for a matchup is short, although some lag issues occurred with a few games. 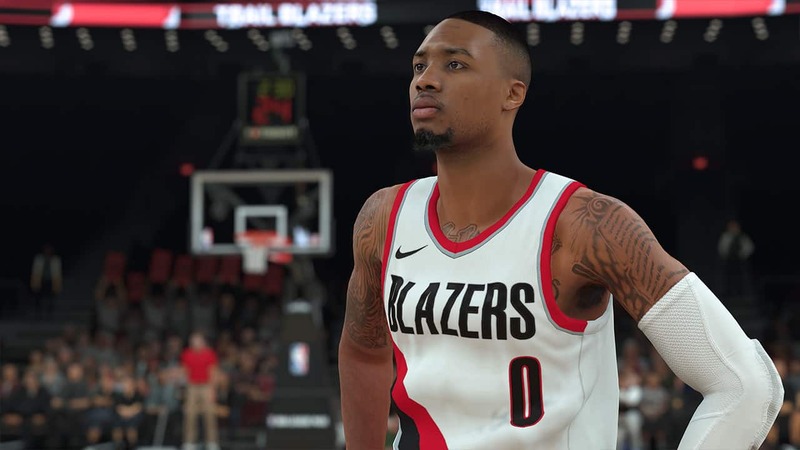 The new UI is easy to navigate and much better than its previous iteration, but what stands out for NBA 2K19 is its overall package. The music simulates basketball culture to the tee with rapper Travis Scott’s soundtrack. Sounds on and off the court are realistic and add to the atmosphere built up by fans and the beautiful stadiums. The commentary is engaging and gives great insight on players before and after the match. There is a game mode for everyone, whether you are playing online or offline, by yourself or with friends. So yes, I recommend fans pick up a copy of NBA 2K19. You won’t be disappointed!